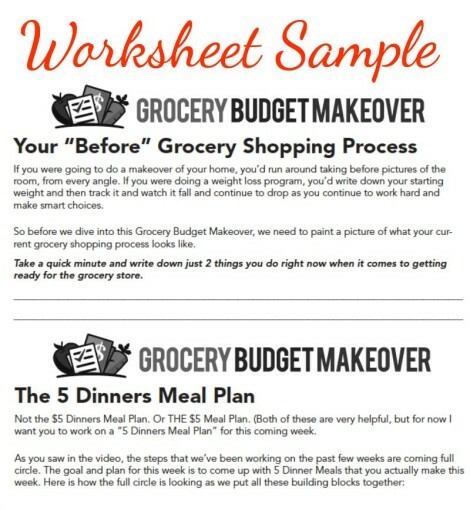 What is the Grocery Budget Makeover? 10 weeks of instructional and informational videos – These will help you reframe your thoughts, teach you cool new strategies plus it will feel like we’re sitting together in my kitchen chatting about what changes you need to make. 10 weeks of worksheets and printable resources – You can’t make changes in any area of your life or complete a successful makeover without a little bit of work. The worksheets (combined with the videos) will be your lifeline through the makeover. They will help you identify areas to improve and what changes you could start making in this journey. 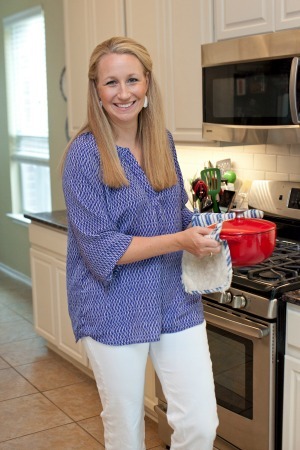 Cooking demo videos – Every couple weeks, I’ll share a cooking demo of a recipe related to that week’s lesson. Access to a super secret Facebook group – Makeover-ees will get to chat with each other, inspire each other and encourage each other…and of course, I’ll be chiming in too. This community is an amazing resource and so so valuable in helping you succeed! The program starts on January 12th and ends in March. Registration will only be open from January 3rd through January 11th at midnight EST! If you’d like to get notified about when registration is open again this winter, please drop your email below!